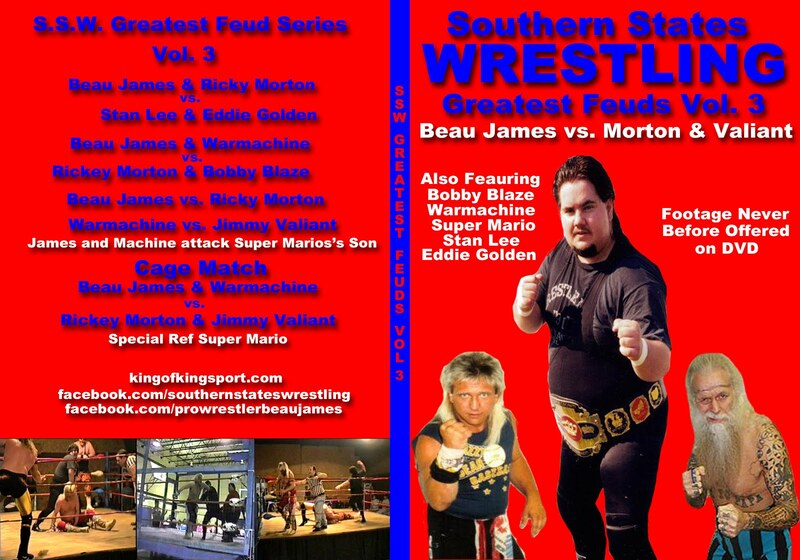 King of Kingsport, Beau James: Upcoming History Projects for East Tennessee, East Kentucky, and West Virginia and how you can help. 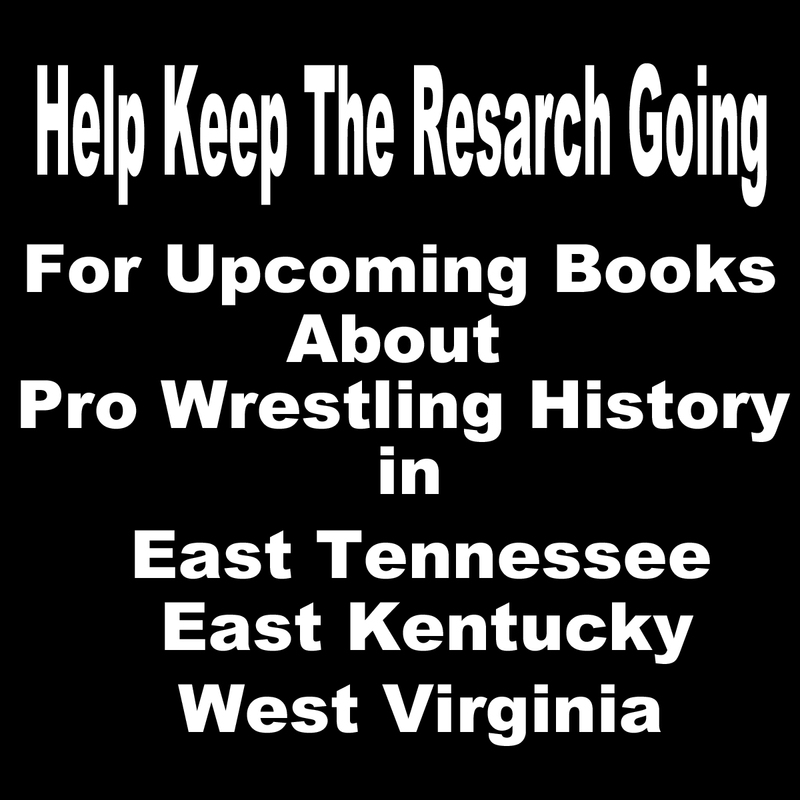 Upcoming History Projects for East Tennessee, East Kentucky, and West Virginia and how you can help. With my third book coming out this year and being shipped across the country and a few sales in Europe. 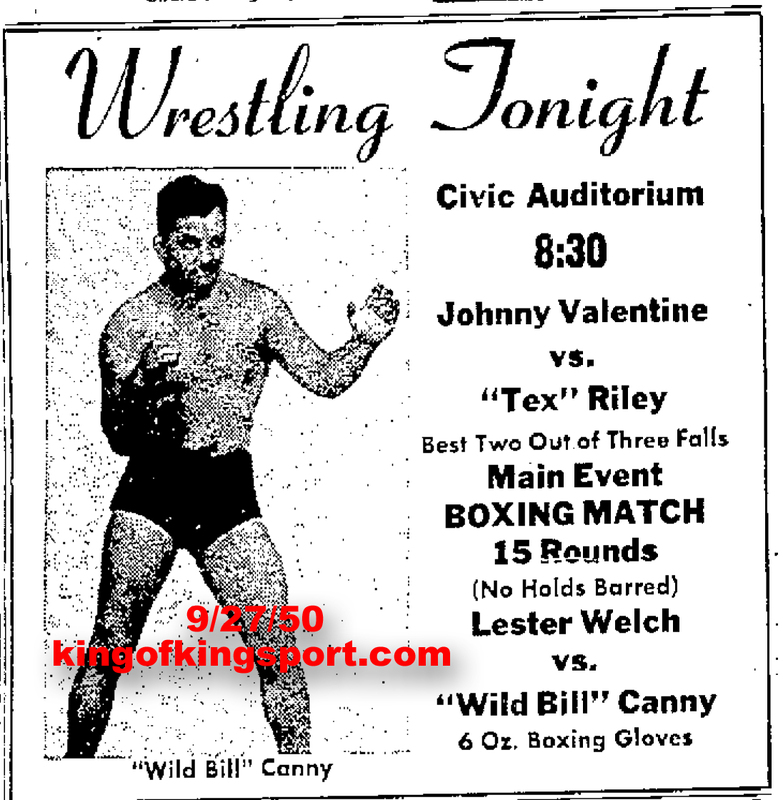 The rich wrestling history of my home area is reaching an entire new audience. My goal when I started this journey was to write one book. 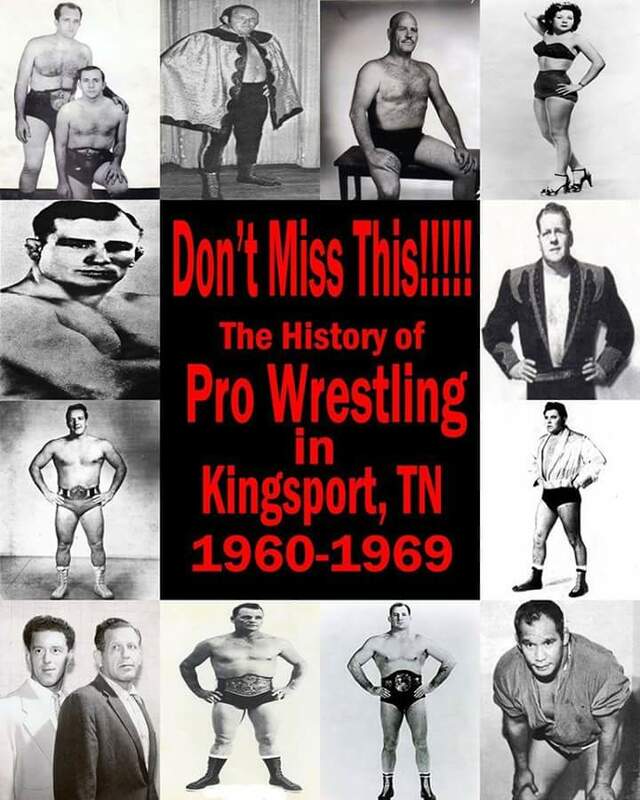 It did not take long to realize that it would take a series of books to tell the complete and truthful history of wrestling in East Tennessee. In fact to tell the story of east TN I have to also include Eastern Kentucky and Southwest Virginia and that has lead to my research reaching into those areas. Luckily some of these towns have digitized their papers and I am able to search much faster and easier for what I'm looking for. A big problems is one of the main towns for years in Kentucky has not digitized. So I will have to spend hours looking at film and actual papers in a library and museum. More about that on down. My plan once I started publishing was to do 60s, then 70s, then go back to the 50s. Well that has changed. I'm deep into the 1950s and will start putting it into book form I pray by the end of February. 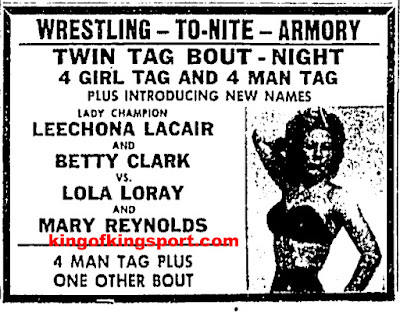 The 1950s in Kingsport was a great time for wrestling fans here with big stars like Mildred Burke, Johnny Valentine, Fred Blassie, and many others spending time in the Model City. 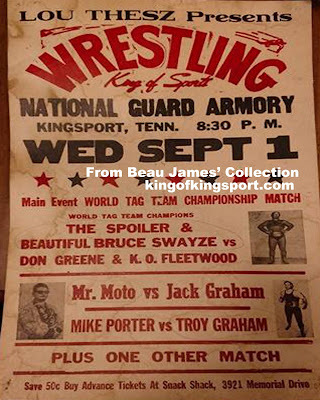 I think just like with my 1960s Kingsport Book many will be surprised by the people who came through here. Just like in my first history book I will bring you not only the cards but any results, news, etc. 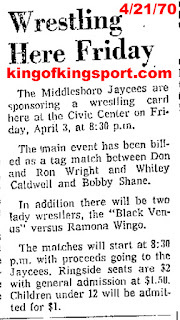 connected to the weekly wrestling cards in Kingsport and some surrounding cities and towns. My goal is to release my yet untitled 1950s book in mid spring of 2017. Now on to what will be the biggest task, the 1970s. Everything changed here in the 70s. 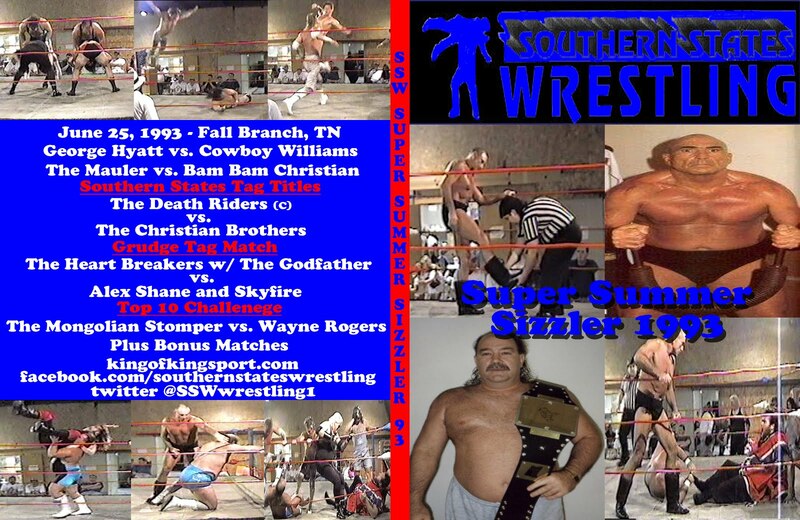 Knoxville and Kingsport would combine to create Southeastern Wrestling. Which means to complete the book I will have to finish Knoxville and Johnson City research. 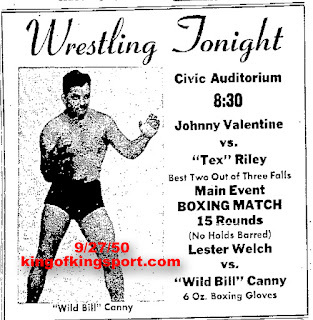 The area was shocked and saddened with the deaths of the local hero and top star Whitey Caldwell and a well known manager Sam Bass who got his start here. 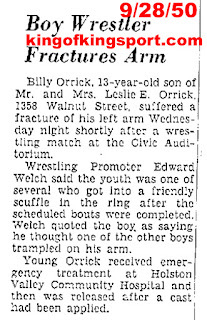 The man who would be come the area hero after Whitey's untimely death Ed Wolf would be injured and nearly die in one of the freakiest accidents that ever happened in Pro Wrestling. 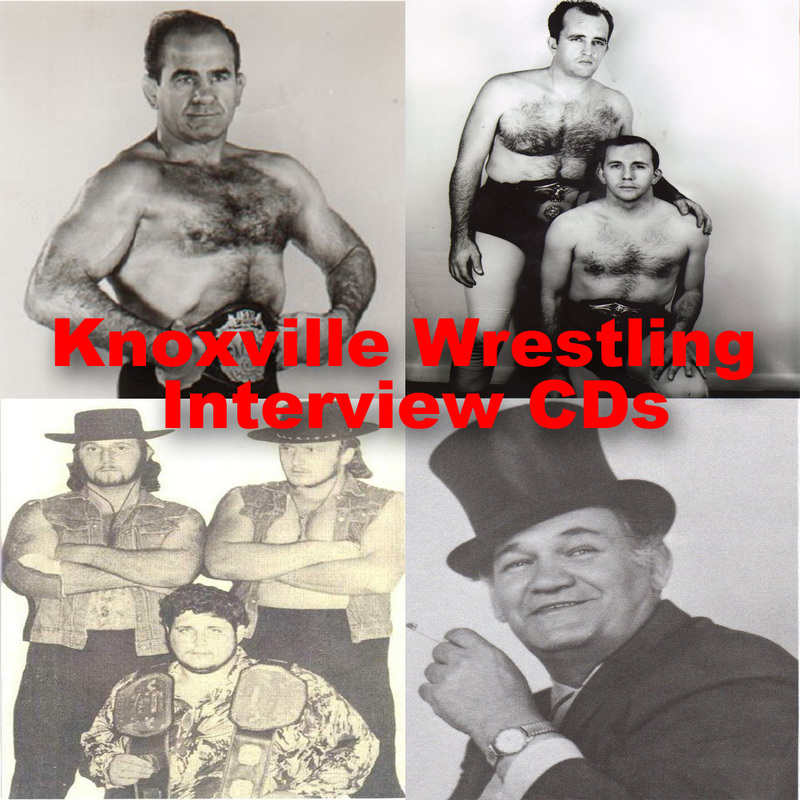 You will find out how the wrestlers, promoters, and fans rallied around Ed and his family. 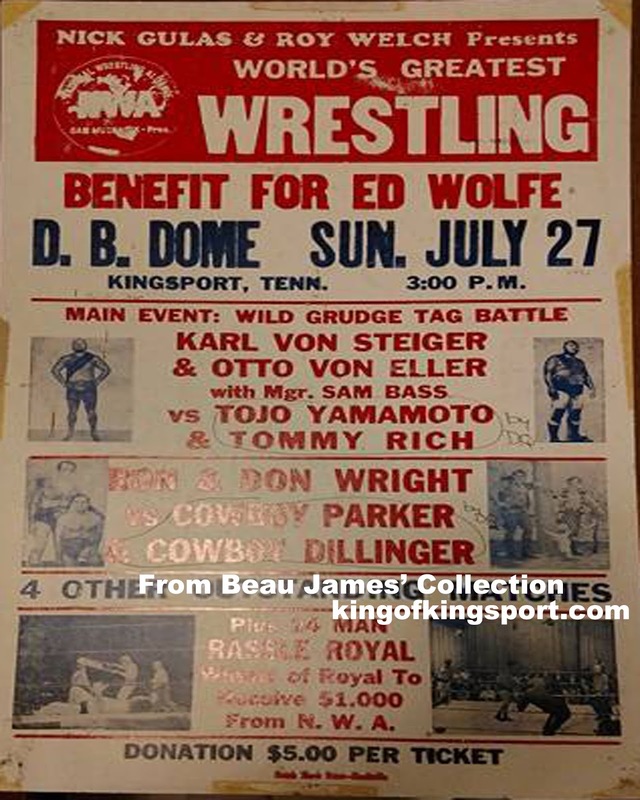 Thanks to my friend and long time area wrestling fan who gifted me several posters you will not only see how the news paper promoted events but you will be able to see several window cards (posters) from the time. 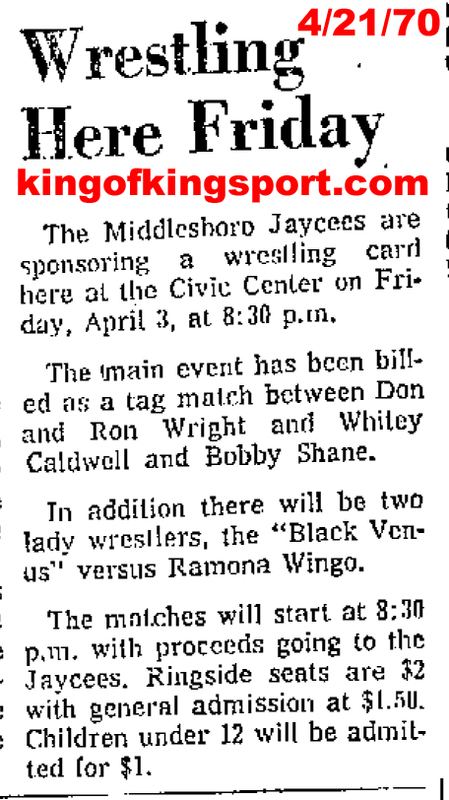 Just like the decades before and after the 1970s featured the top area and national names on events here in my area. 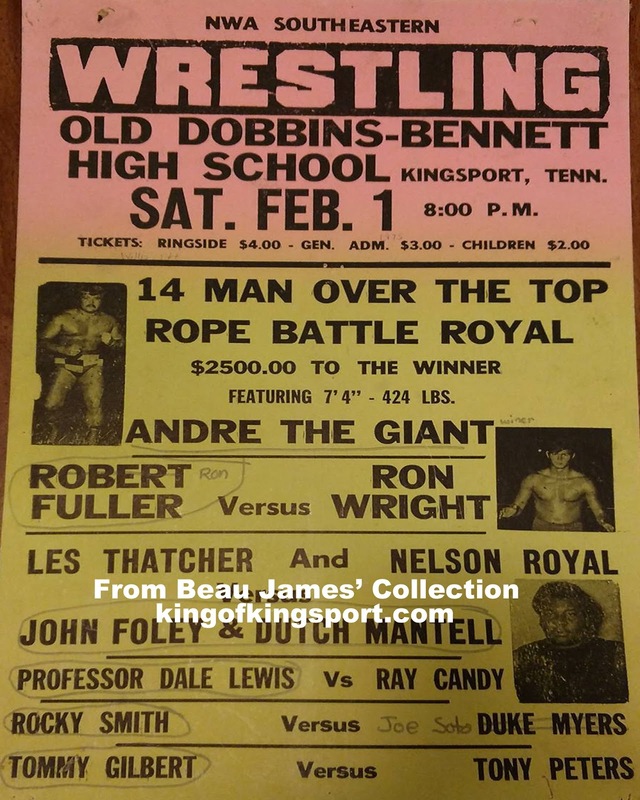 Below is advertisement for Andre The Giant's debut in the Tri Cities. In the 1970s the area also saw it's first rush of not only outside promoters but local Independent (outlaw) groups growing. 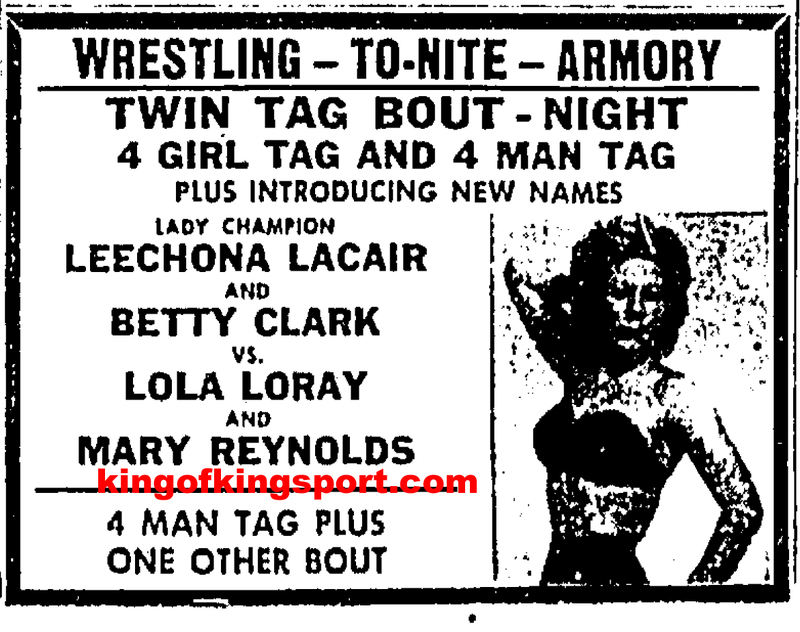 One of these promotions was ran by 6 times World Champion the Legendary Lou Thesz. 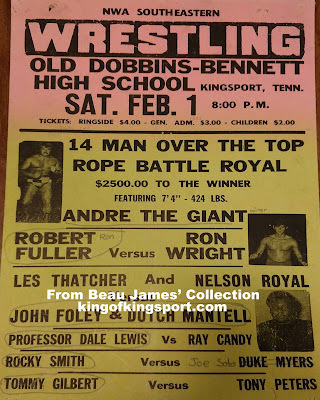 How old did Lou last in Kingsport? You'll find out in the book. 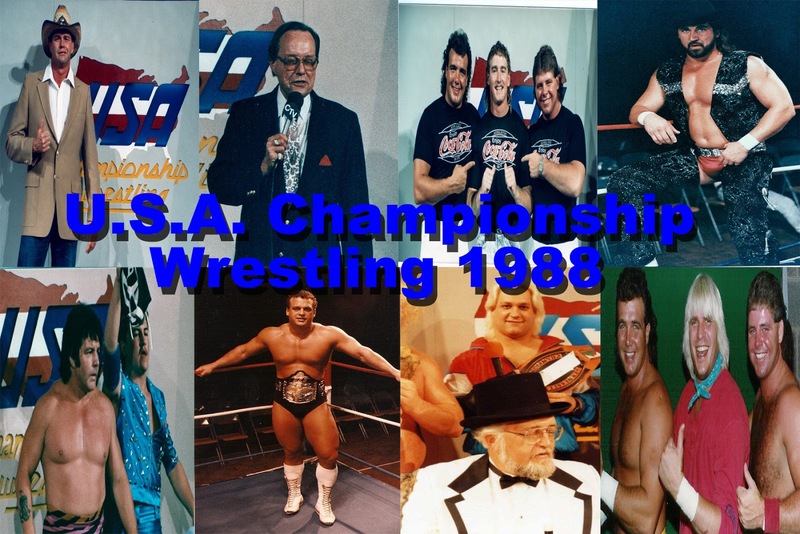 The 70s book will cover all of this and more including the bitter split and territory war between Ron Fuller's Southeastern Wrestling and Ron Wright's All Star Wrestling. How did it effect the area. Who won? Who lost? Who came in and took over Kingsport and Knoxville? All of these questions are answered in the book. Now here is where I need help. 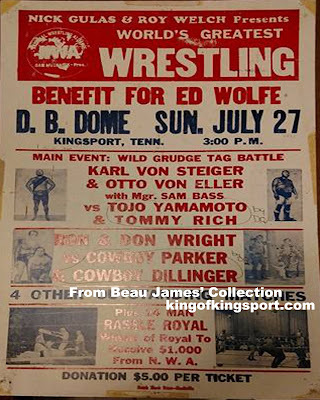 If you were a regular at the Tuesday Night matches in Johnson City or Friday Night matches in Knoxville. I would like to talk with you. 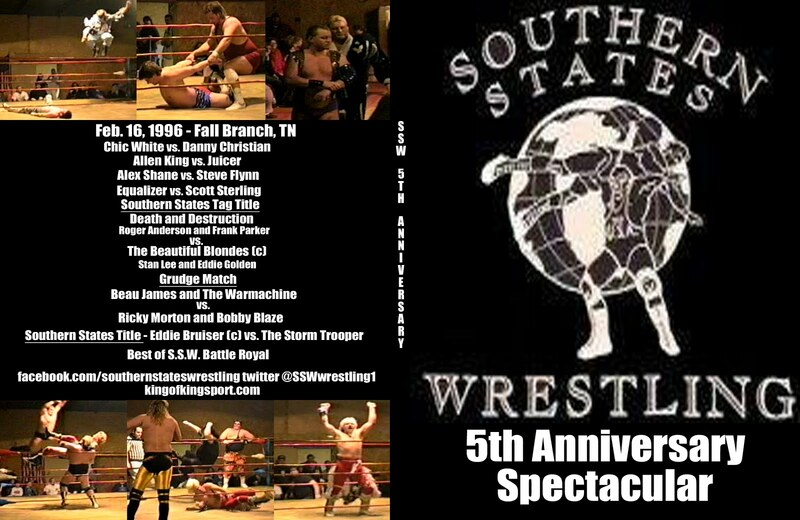 If you have any posters or programs from Southeastern, All Star Wrestling , and/or Mid Atlantic Wrestling I would like to see them. 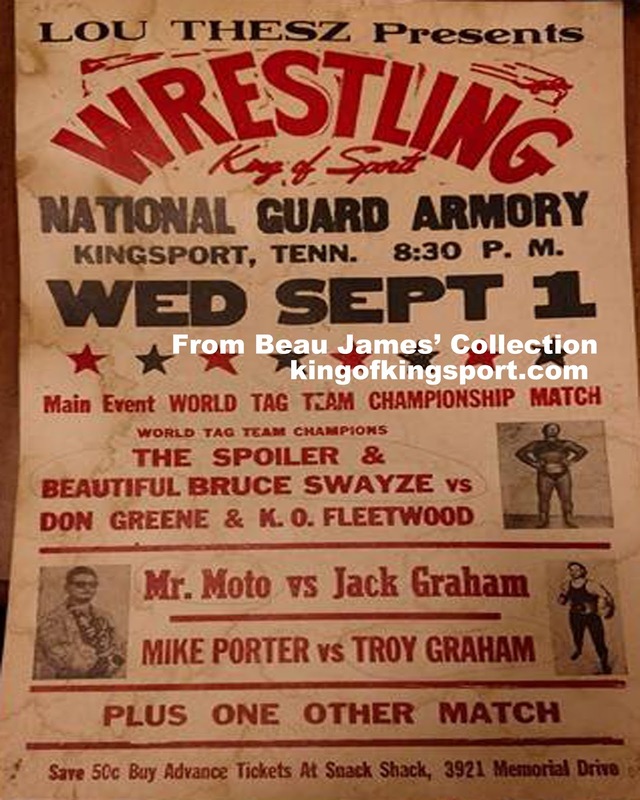 One big challenge for the 1970s is that Kingsport was dropped as a weekly town for Marryville, TN on Wednesday Nights. Johnson City on Tuesday became the place to be for Tri-Cities fans. One big problem for me Johnson City papers are not digitized. So I have many hours and days looking at film in my future. Same goes for the Friday Night town of Knoxville. More about that at the end of this blog. 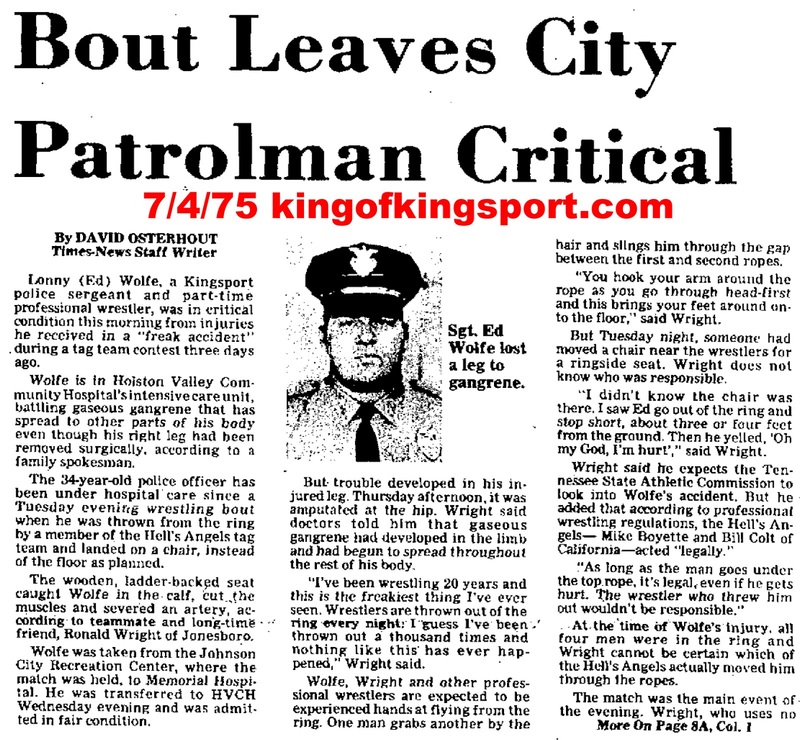 Good news is Kingsport 1970s is completed. My goal is to release this book on Oct. 7 2017. That date is special for a reason and keep checking back here as we go on to find out. A long with loving the history of my home area and wanting to make sure it is told in full and truthful. I have another area that I have studied, watched, and asked about for years. That is my home away from home West Virginia. Other than Tennessee I have spent more time there than any where. It like the Tri Cities has a rich yet mostly unknown history of Pro Wrestling. 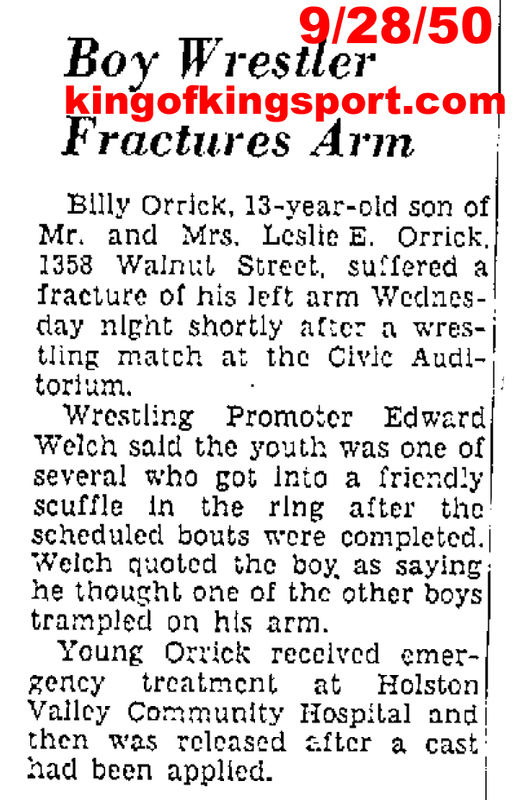 As you can see from this 1958 clipping below it was not the most P.C. places. In fact it was Wild and Wonderful as their State slogan goes. I have dug into what was the West Virginia territory that was opened by Toots Mont. It was originally based in Charleston but moved later to Oak Hill. Right now I am researching Bluefield, Beckley, and Charleston newspapers. I also have events from other area towns. Trouble with some of these towns is like others the newspapers are still on film. If you were a fan growing up in West Virginia and have pictures, posters, programs, or memories. let me know. Ok now here is were the real help comes in. As far as time that I already have into researching just East Tennessee I will never sale enough books to make it worth it. I don't do it for that. I do it because I want to keep this history alive. I want to honor those who came before me. I want to make sure their work is remembered and the legacy carries on. So much of wrestling history is being told wrong. Even more of it is dying with the stars of the era. I will be spending many hours , days, months working on these. Why? Because if not me then who? Many people tell me they love my books, they love listening to me tell the history on podcast or in person. I learned it by living it, asking questions, and many hours of reading it. In order to read it and put it into print I have spent 21 years in libraries. Guess what folks to get files from film it cost money. To drive to different cities to research it cost money. To put it in book form it cost money. All that I'm out till the books start selling. I had 21 years in before the first book came out. 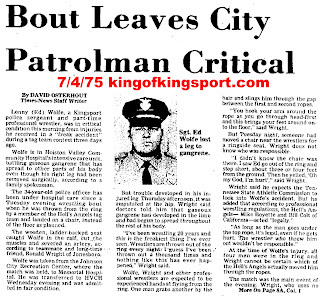 Good thing along the way I was able to do 1916-1977 for Kingsport. I have some Knoxville done and some Johnson City with much more to go. If you have bought a book THANK YOU!!! If you are planning on it but have been waiting PLEASE do now. Same thing goes for a DVD or DVD sets here. My history book and history sets are used to help keep the history lessons coming. If you feel that this work is important like I do and would like to make sure the work is complete. I have added a donate button on the top left hand side of this page. Someone suggested I do A Go Fund deal but the only problem is I have no idea what the cost of this work would be. And the work will be going on for at least the next year. So here is the deal if you want to or can donate a few bucks. I will give thanks here on my page on social media pages as we go to all who do. Donate $10 and I will list you on a Thank You page in one of the books. Just tell me which book.Donate $25 and I will list you in all three books and give you a book of your choice hot off the press. Don't have $10 or $25? Know a $5 spot or even a couple of bucks will help too. Let's keep the history, memories, and our heroes alive. I am also toying with the idea of putting paid ads for area businesses in the back of the book. Not sure about that yet. I will let you know.